Outlook OST to EML Converter tool is specially designed to recover damaged or corrupt OST file and export all emails maintained in it to EML format without any hassle. 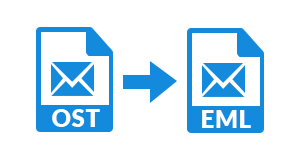 Moreover, while converting OST File to EML format, it exports all emails along with attachments to EML format. Apart from this, the tool maintains data integrity also during and after conversion. With the help of this OST to EML exporter tool, one can recover even severely corrupt OST file. The tool renders two scanning modes i.e. Quick & Advance Scan mode. By default, the software uses quick scan mode, which is mainly for healthy OST file. But, in the case of badly damaged OST file, one can use Advance scan mode. 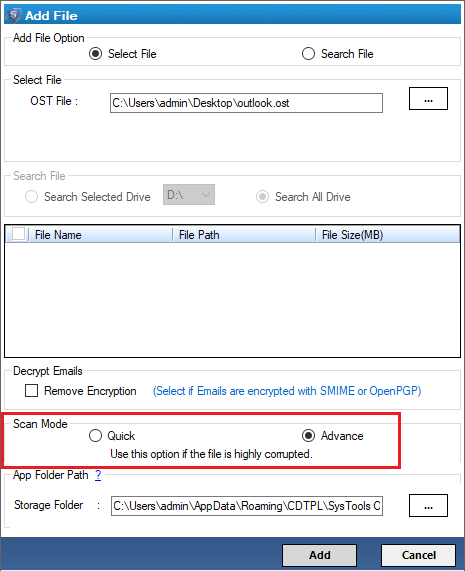 After recovering all emails from corrupt OST file, a user can convert selective emails from OST to EML format. 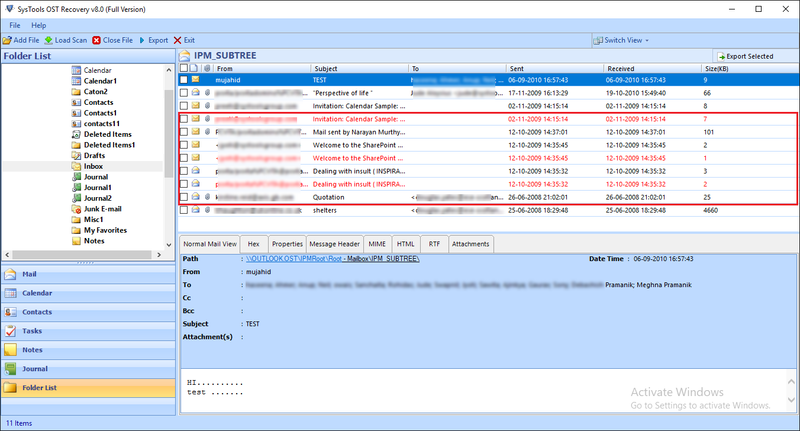 A user just needs to check or uncheck the data items before starting migration process. The tool will export only selective emails only to the resultant EML file. 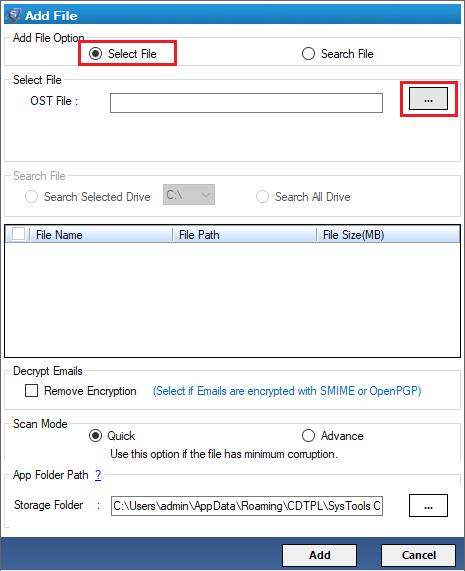 Moreover, a user can export particular folder also containing multiple OST files using this tool. OST to EML converter is a preeminent application that one can use to perform file conversion in a simple way. 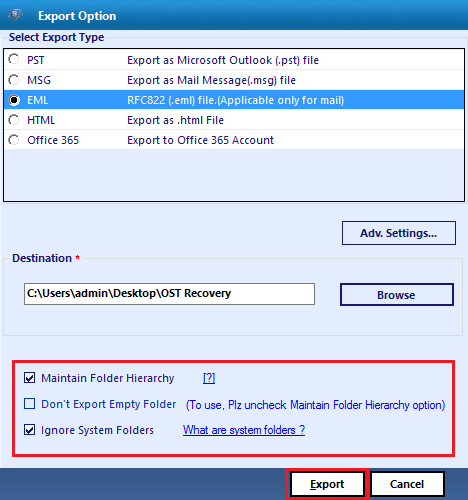 The tool export OST to EML such version that a user can access the exported data into multiple emails clients, for example, Outlook Express, Thunderbird, Windows Mail, and Live Mail. Therefore, the tool increases the accessibility of the EML file also. After exporting emails to EML format, the OST to EML exporter provides users an option to save the resultant EML file using any desired naming convention like Subject + Date (MM-DD-YYYY), Date (YYYY-MM-DD) + Subject, etc. A user can choose any of them to save the EML file. Moreover, this makes it easy for a user to manage the mailbox according to their choice. Another impressive feature about the OST to EML converter is that during conversion process the tool maintains meta properties also such as To, Cc, Bcc, Subject, etc., as the original. Moreover, it maintains on-disk folder hierarchy, original formatting, and internal folder structure intact. 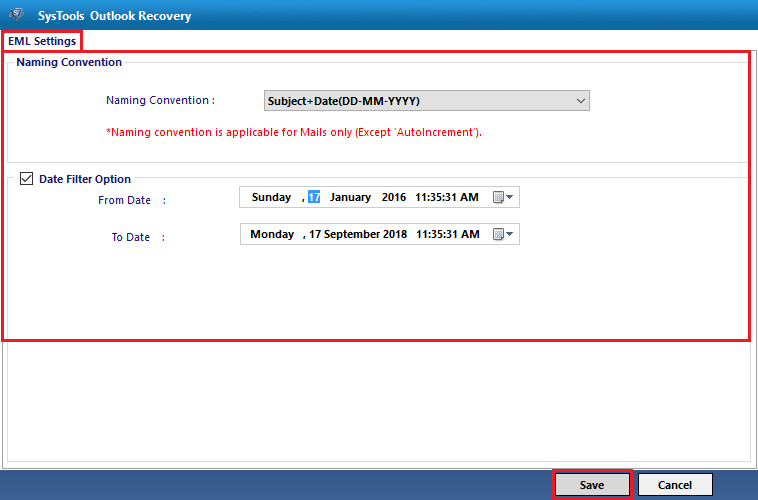 There will be no loss of data also while migrating OST emails to EML format. Is it possible to recover corrupt OST file and then export it EML format? 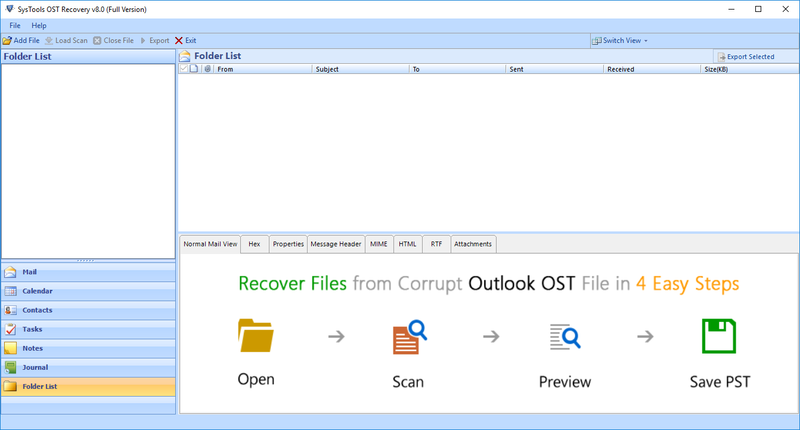 Yes, a user can recover and export corrupt OST file to EML format using this software. 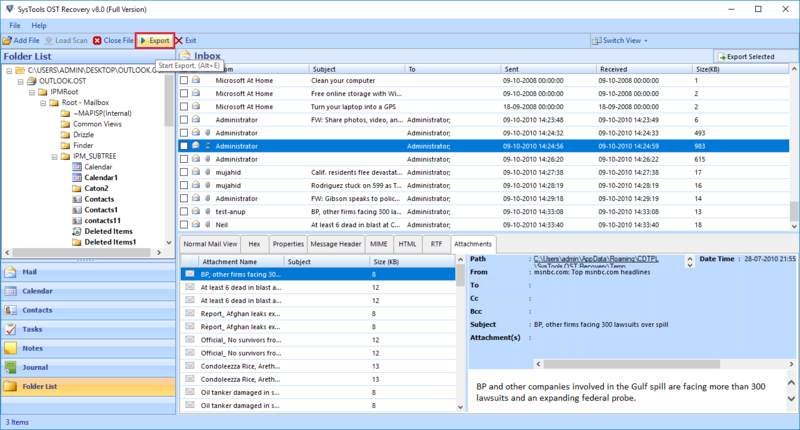 Does the ensure integrity of data during OST Emails to EML conversion? Yes, the tool is designed in such a way that it does not make any changes to data during conversion. Is there any Offline OST file size limitations impose by the OST to EML converter? No, the Outlook OST to EML converter does not have any file size limitation and tested over 20 GB of file size. Can I access the exported EML file in Thunderbird application? Yes, the OST file is exported to such a version of EML file that a user can access it in any supporting application, including Thunderbird. Download .EXE setup file of our tool for installation. After the successful installation, launch software either by clicking on its desktop icon or by going to Start then, search for OST File to EML file converter product, and click on it. Click on Add button to initiate procedure of selecting source OST file, whose data items are to be saved in EML file format. Click on Add button to initiate procedure of selecting source OST file. 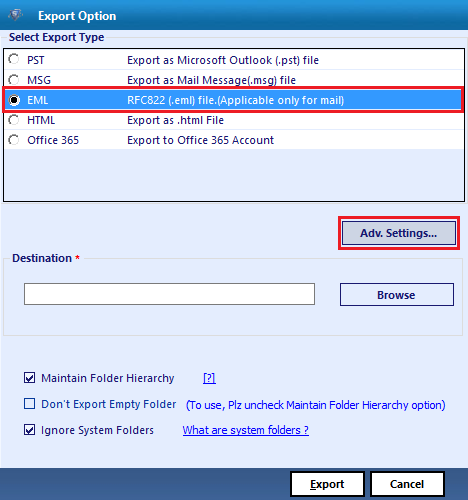 There are two advance settings features provided for EML file and click on Export button. After that provide destination location to save resultant file and hit on Export button. "I was looking for the utility that export OST to EML file format in a simple and easy way. As OST file are more prone to corruption so, I want to convert them to EML file format. After a long search I came to know about OST to EML converter. I must say that it is simple and easy-to-use utility that one can use without any external help. The GUI of this tool is so user-friendly that anyone can use it without any expert help. Great Work development team!!" "The best part about the OST to EML converter is that it convert OST to such a version of EML file format that I can access the EML file in any of the supporting application such as Windows Live Mail, Outlook Express, etc. Moreover, it repair even severely corrupt OST file without any hassle. I must appreciate the work done by the developer in developing such a great utility."